648 pages | 229 B/W Illus. The role of the chemical reactor is crucial for the industrial conversion of raw materials into products and numerous factors must be considered when selecting an appropriate and efficient chemical reactor. 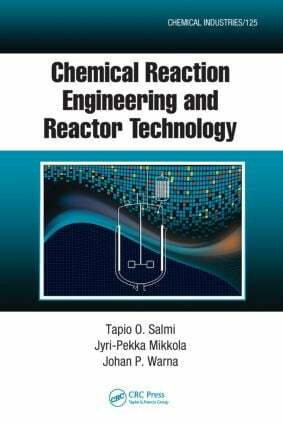 Chemical Reaction Engineering and Reactor Technology defines the qualitative aspects that affect the selection of an industrial chemical reactor and couples various reactor models to case-specific kinetic expressions for chemical processes. The authors pay special attention to the exact formulations and derivations of mass energy balances and their numerical solutions. Richly illustrated and containing exercises and solutions covering a number of processes, from oil refining to the development of specialty and fine chemicals, the text provides a clear understanding of chemical reactor analysis and design. How to Approach the Modeling of Novel Reactor Concepts?